Home Dave Walker. American Rock 'N' Roll Tour. 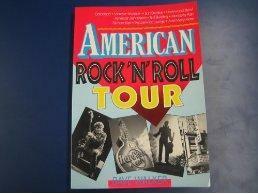 American Rock &#39;N&#39; Roll Tour. Title: American Rock 'N' Roll Tour. ALL BOOKS ARE 100% SATISFACTION GUARANTEED! ORDERS SHIP SAME OR NEXT BUSINESS DAY. THANK YOU! Thank you for selecting one of our titles! All orders are shipped next business day & are 100% satisfaction guaranteed. If you have any questions please contact us at BizarreBooks@yahoo.com Thank you! All orders are securely packaged & shipped via USPS Media Mail, Priority, or International Mail. Special arrangements can be made for Overnight delivery. All orders are shipped the same or next business day. Thank You & Enjoy!